Central defender John signed for Watford in November 1984 from Glasgow Rangers for a fee of £225,000 and made an immediate impact, winning the Display of the Season award for his debut performance against Sunderland. He won the Player of the Season award twice, and was also inducted into the club’s Hall of Fame, third behind Tony Coton and Luther Blissett. John signed for Leeds United in 1989 although did make an additional appearance for the club on loan the following season. He won 53 caps for Northern Ireland. John spoke to Watford Legends in 2008. 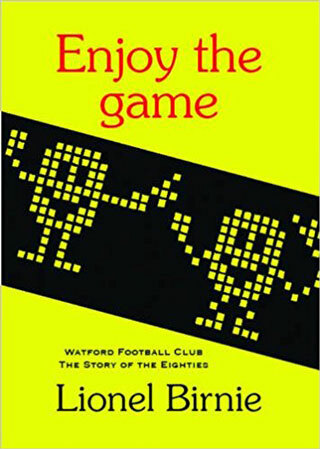 Hi John, thanks for talking to Watford Legends. You made the step up from Glasgow Rangers to Watford. How did it come about? I went to Rangers as they doubled my £100/week wages at Mansfield. After a few years my wages still had not increased, even though I was captaining the club and doing well for my country. Eventually they offered me an extra £50, which I found unacceptable; and I put in a transfer request. They then dropped me and told me that I would never play football again. Somebody got injured about eight weeks after this incident, and I played in what I thought would be my last ever game against Inter Milan. After the game the manager, Jock Wallace, told me that Watford were waiting to meet me at Glasgow airport. 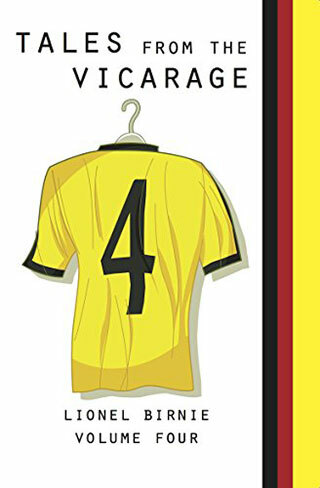 I met Eddie Plumley and Graham Taylor there, and Alex Ferguson from Aberdeen was waiting five doors away along the corridor. I told Graham that I was happy to sign for him, but I wanted to see Alex out of courtesy to say no to him. I think Graham was worried that I was going to play the two clubs off against each other, and was insistent that I signed first. I said no, because I wanted to prove hat I could be trusted. I went to see Alex and told him that I was going to sign for Watford. He said “just have a look at this contract. You will see that I am offering you a lot more money than Watford will”. I refused, saying that I wanted to get out of Scotland and work in England. Do you wish you’d had a look at the Aberdeen contract? No. In this day and age you would be foolish not to look but at the time, I wanted to prove to GT that I was a man to trust. Alex Ferguson was disappointed, but I think that I proved that it was a football decision rather than a financial one. And whilst at Rangers you played in the Old Firm derbies. What are they like to play in? Oh it’s evil and it’s mad! You can’t explain it. There’s a lot of hate between the fans. The players vary. When you are in the bar after the game some players will mix happily, whilst others will not. I got to enjoy the derbies, and got so confident that I used to run to the Celtic fans in the warm up and start doing ‘toe-touching’ exercises and show my back side to them. It was a wind up – in the nice way of course. I remember playing against Hearts in a pre season friendly when I was at Watford, and the Hearts fans berated me for the full 90 minutes. Graham Taylor said to me afterwards that those are the time you know you have made it! A bit like Tony Adams being called a donkey, he loved that. But of course the Old Firm games are nothing compared to the hotbed that is the Watford Luton derby! No! There are a few lads where I work here who are Watford fans, and they always have a few things to say about LutonTown! Although personally I’m not sure why Luton are the main rivals. I thought it would be someone like QPR for proximity. I never liked the Astroturf at Luton though. How did you settle at Watford? I think I settled quite well. I remember on my first day Tony Coton commented that I could barely walk, let alone kick a football. They soon realized that it was my ungainly style! Graham Taylor asked me to captain the side, but I said no, and that I would be happy to play under the current captain, Wilf Rostron. I told Graham that if I earned the right to be captain, I would take it then. I remember my debut against Sunderland well. It was a good game, and I had a good partnership with Steve Terry. I would take the quicker player and Steve would go more physical. You play in partnerships like forwards do. Later on I had a good partnership with Steve Sims. I lived in Kings Langley and enjoyed living in the area. You were at the club when Graham Taylor left and Dave Bassett came in. How was that? I knew that a new manager coming in would be a time for change, but it was horrendous. My first recollection of it was that we were going on a pre season tour of China. I thought it would be a good opportunity for Dave to meet the players, but he didn’t want to go as he had already booked his holiday. I remember even Billy Hails came along – and he had already been sacked – which I thought was very courageous. What about the dressing room? I remember David Bardsley was an eternal pessimist. If it was raining it was too wet, if the grass on the pitch was long it was too long. A real groaner. Dave Bassett instantly sold him. He sold bought and sold a lot of players very quickly. There was no in-fighting between the players, although there was an air of disdain. I recall Nigel Gibbs was looking to put in a transfer request as he was so unhappy. I told him that the difficult period would soon be over and we could press on. Dave Bassett left Tony Coton out of the side, and put Mel Rees in his place, but Mel, as nice a bloke as he was, was not a patch on Tony, and it made no sense. I suppose this is a good example of what it was like at the time. And then you were off to Leeds United. Graham Taylor went to Aston Villa, and I took up a clause that allowed me to go for a hundred grand. I had a good offer from Leeds and took it. I was sad to go, but circumstances change. Graham Taylor tried to sign me for Aston Villa, but he got Paul McGrath instead, which wasn’t a bad deal! You had some injuries at Leeds. Sort of. At Watford I over trained through pre season when we got relegated, so that the new division would not catch me out. I found out I had a condition with my ankle that meant I could not train day-to-day. I could play no problem, but training was not possible. Leeds United made me train on the grounds that I was part of the team, and they did not want any resentment from the other players. Watford let me do it, and I hardly missed a game. But even with a medical report, Leeds did not want to let me do it. I ended up in hospital with both legs in plaster, but I still managed to get 22 games in during my last season, which meant I got a championship medal. After Leeds you bounced around a little bit with a few jobs at a few clubs. I was at St Johnstone for a while as player-coach and then player-manager, which I really enjoyed. My mistake was that I should have got somebody in who knew the league better than I did so that transfers would have been easier to come by. I only really knew the English league. I guess this is why some managers are particularly strong at working in a particular division. I did a bit of work ay Wycombe and Yeovil, mainly as a cover player in case of injuries. I went to Darlington as a coach, even though the chairman at the time didn’t want me. I was told that the chairman at the time was the type who wanted to do it all, including picking the team. I made my debut at Hartlepool and broke my leg in three places. It was one of those where nobody was to blame, but it was a greasy pitch and my bodyweight collided with that of another player at a corner. I looked at my foot and saw it was the wrong way round. It hurt a bit! I have done some work in the community department at Leeds United, where I did all sorts of different things, from going round schools to doing the stadium tours. I left the role there as I didn’t want to be at the 24 hour beck and call of a football club. I have three jobs now. I am a postman in the morning, I do some coaching in the afternoons and I still do the stadium tours on Leeds United match days. I like the set up because I am not beholding to any one person or company, and it gives me a nice level of flexibility. I also do some after dinner speaking. Anyone who wants me to do some speaking can contact me through Leeds United – you can advertise that! Well thanks for talking to us John. And thanks for playing for Watford.